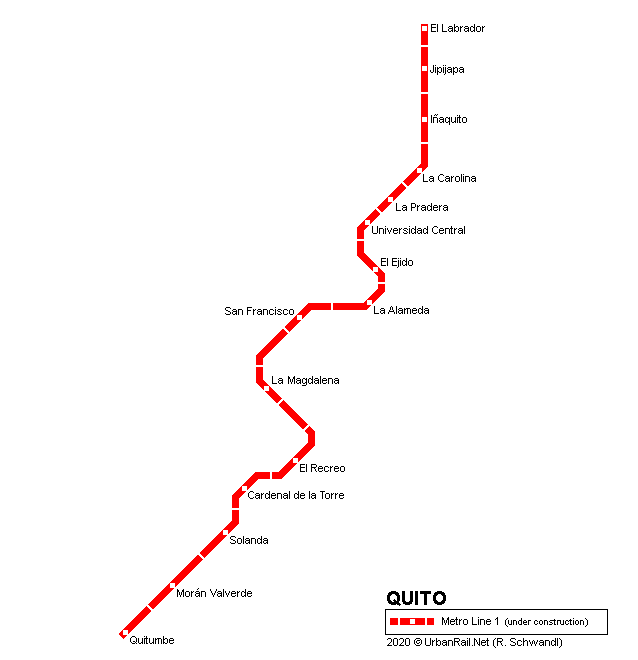 Quito (1.7 million inhabitants in metropolitan area) is the capital of Ecuador, located at 2850-3100 m above sea level. Construction started in late-2012 for completion in 2016. 18 six-car train are to be ordered.